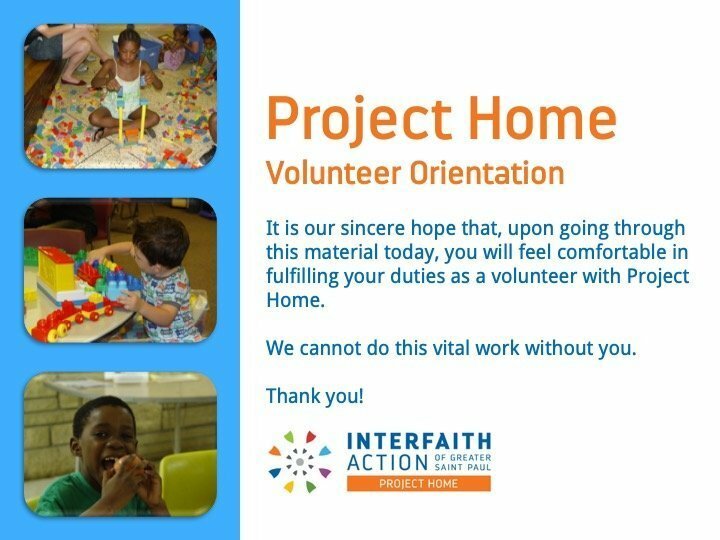 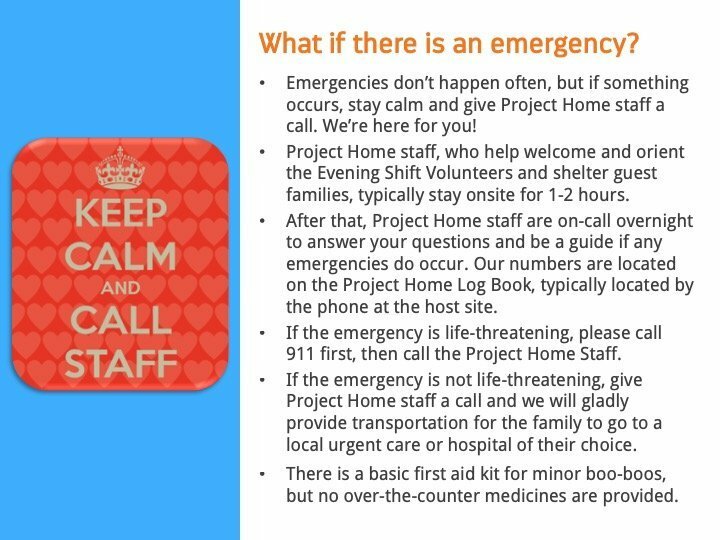 These resources are for host and partner faith communities to use on websites, bulletins, or other materials when recruiting volunteers for Project Home. 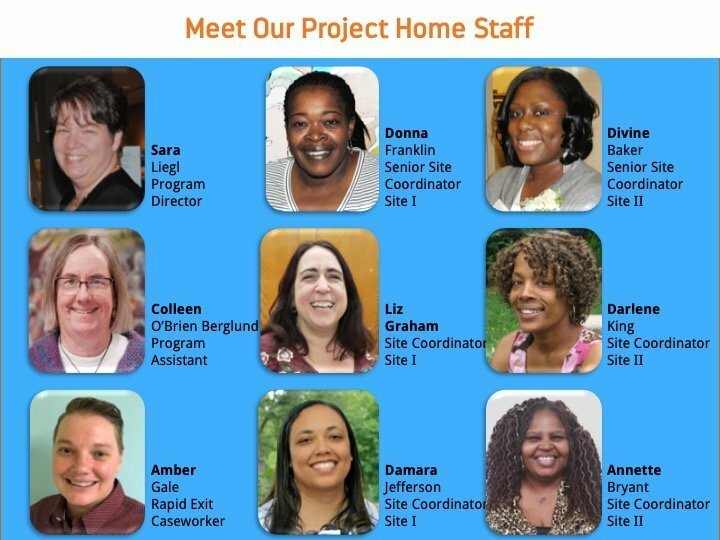 Guests have given permission for the photos below to be used free-of-charge in recruiting materials. 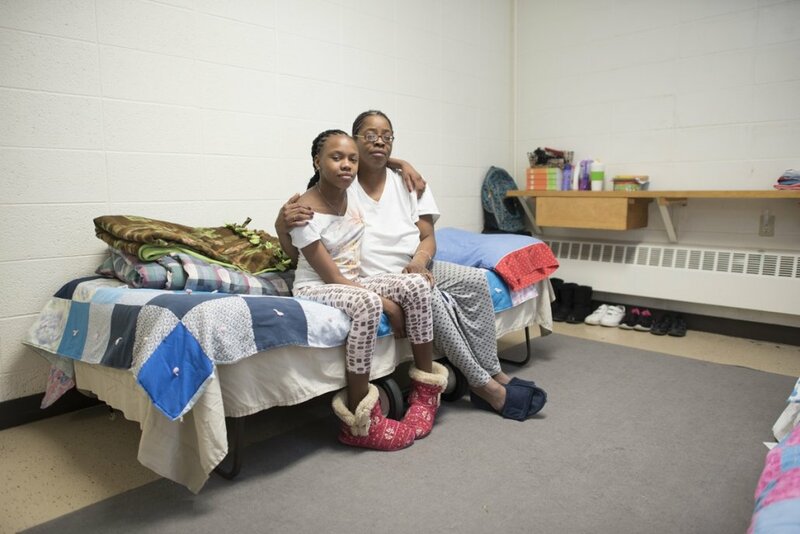 Right click on the picture you want to download. 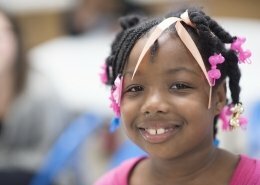 Customize the information in the [brackets] for your faith community. 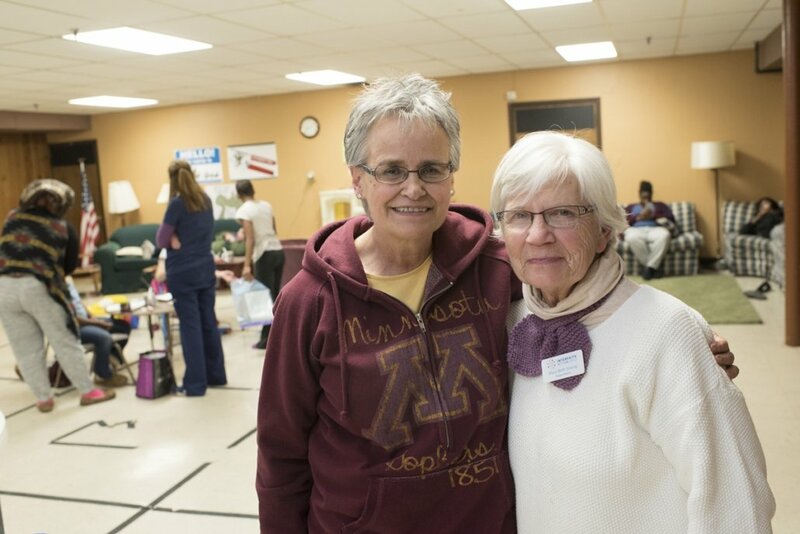 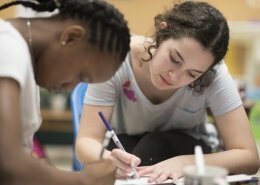 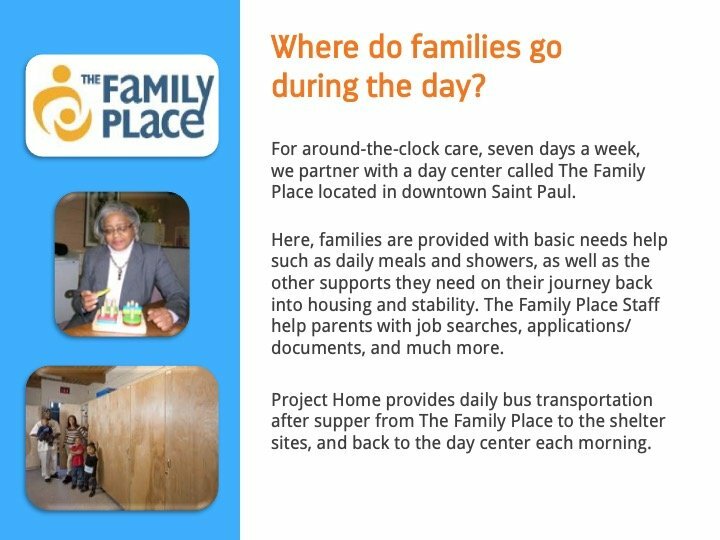 Every [Month you host Project Home], [Your Faith Community] hosts Project Home, a program of Interfaith Action of Greater Saint Paul. 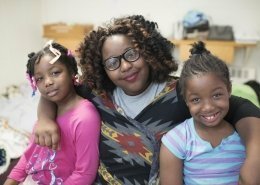 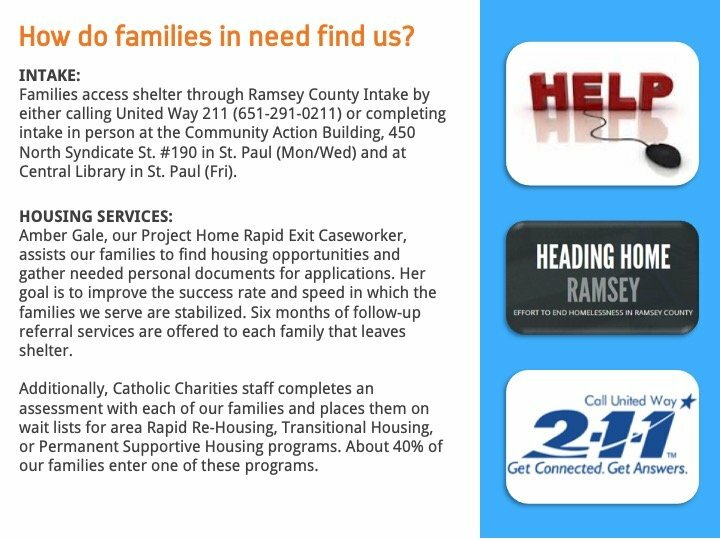 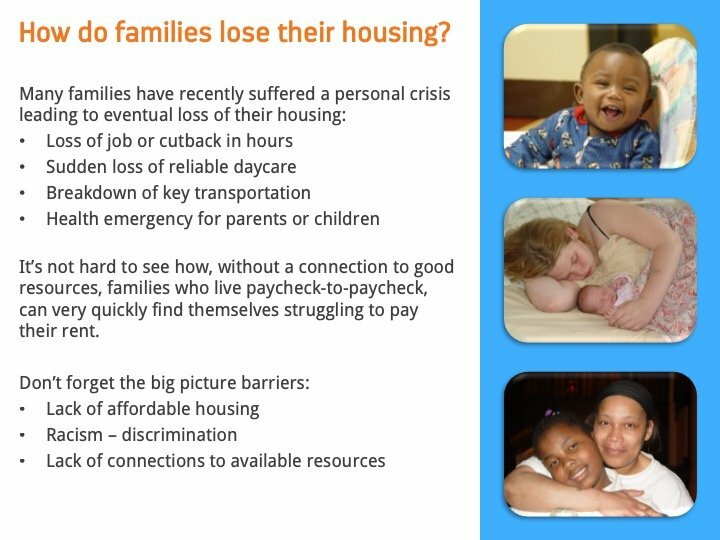 During this month, we provide emergency shelter space and volunteer support for families facing homelessness in Ramsey County. 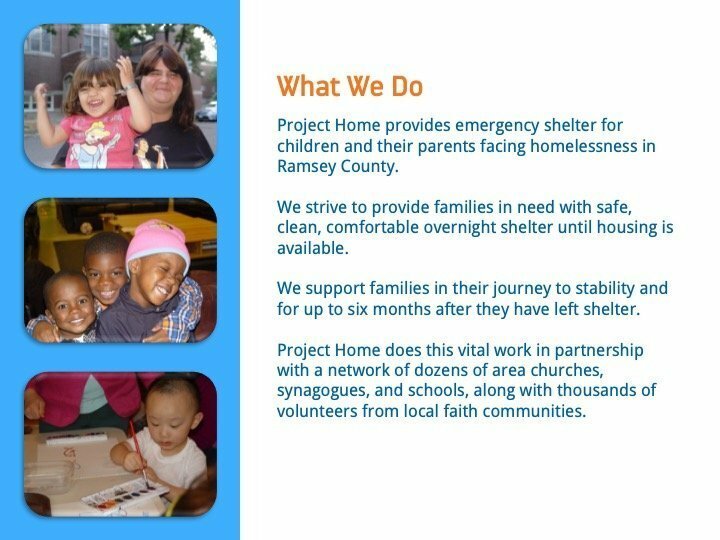 Project Home is hosted at two different area faith communities each month and provides 20 emergency shelter beds at each host site. 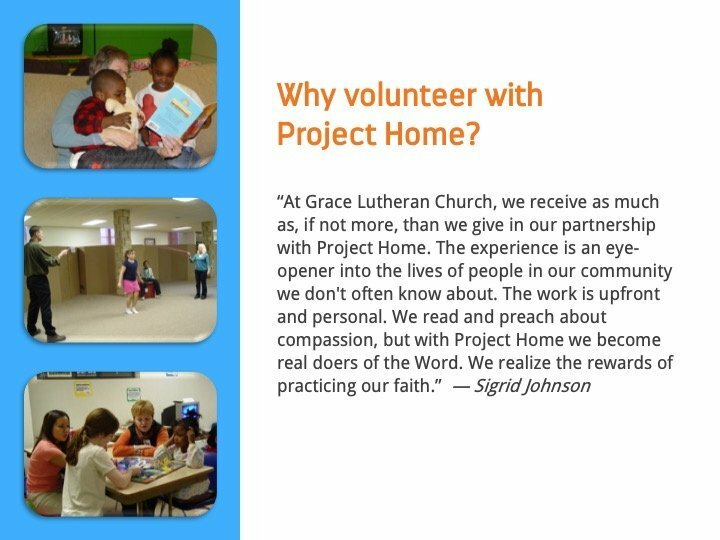 Project Home is almost completely run by volunteers. 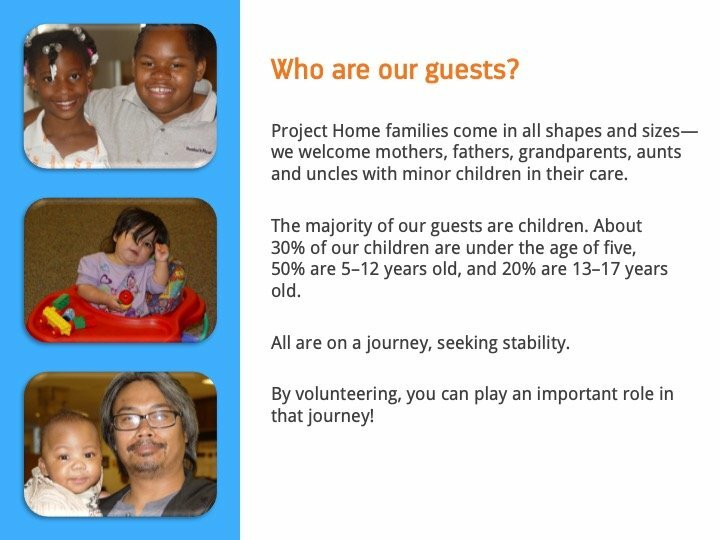 We encourage you to sign up and serve as Evening or Overnight Host to provide hospitality to these families in need. 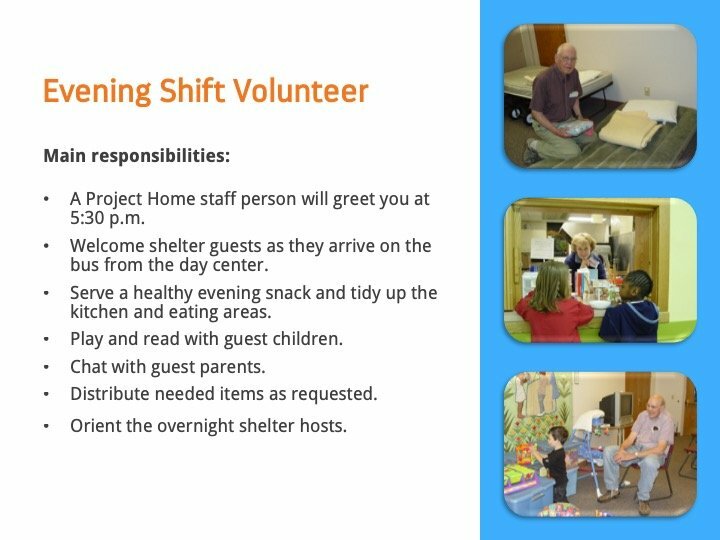 Volunteer from 5:30 pm to 8:30 pm. 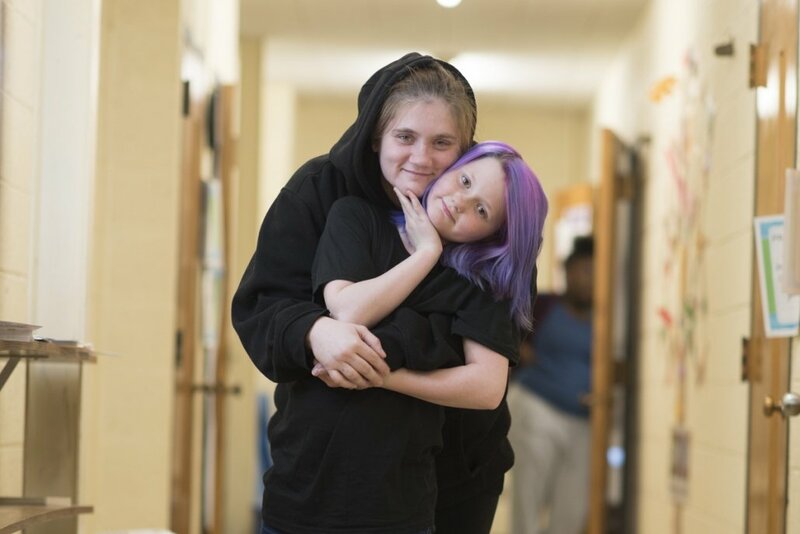 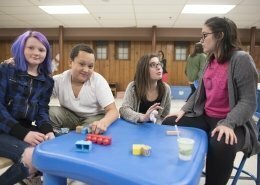 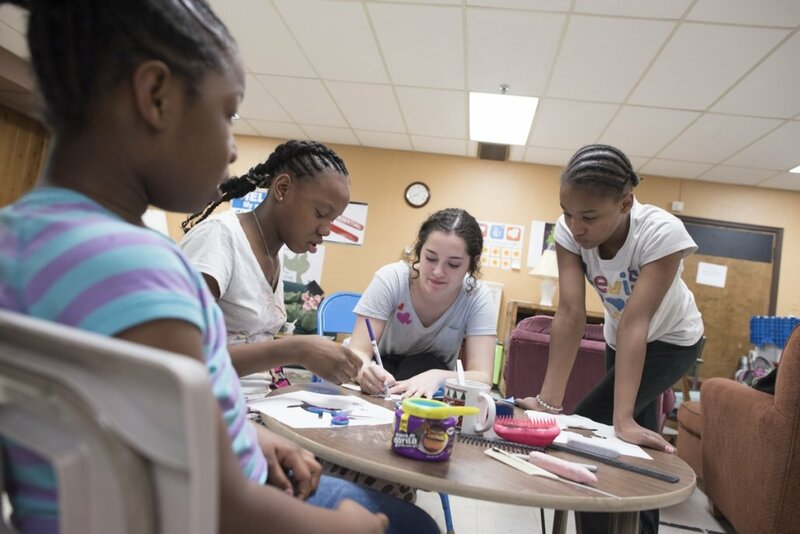 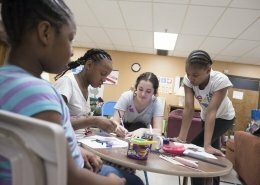 Main responsibilities include greeting shelter guests, serving a healthy evening snack, playing and reading with teens and children, conversing with guests, and orienting the overnight shelter hosts. 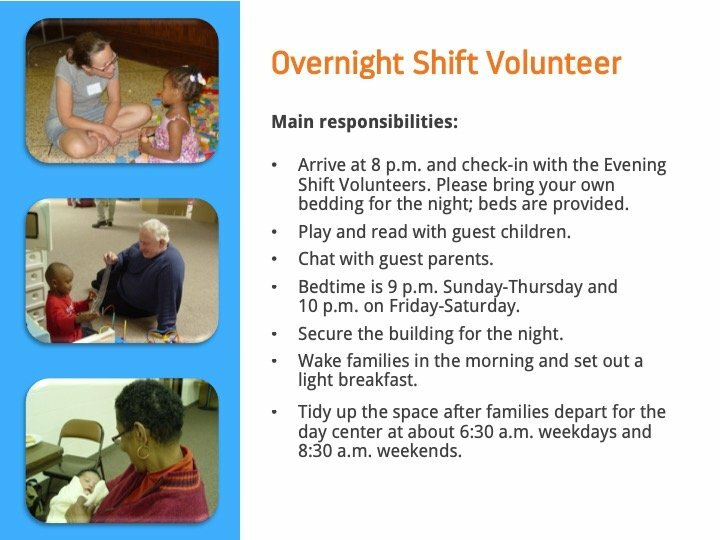 Volunteer from 8 pm to 7:30 am on weekdays and until 9:30 am on weekends. 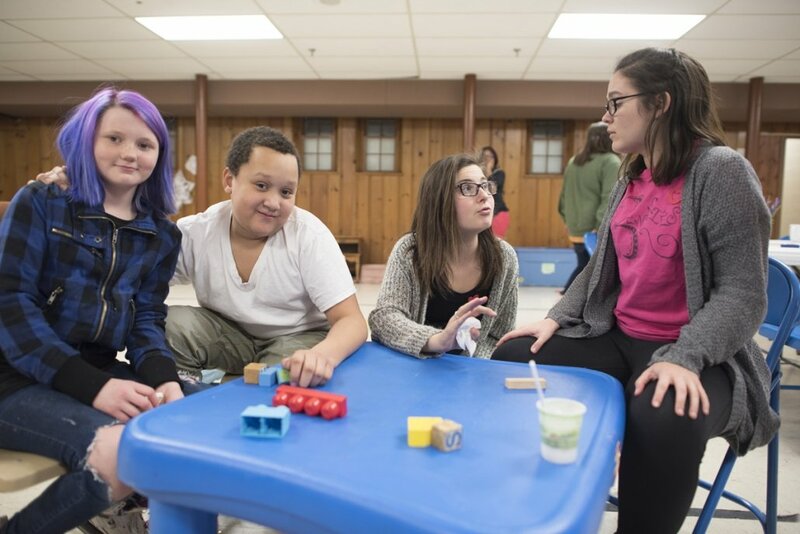 Main responsibilities include playing and reading with teens and children, conversing with guests, securing the facility before bedtime, waking up guests, serving a light breakfast, and securing the facility after guests have left for the day. 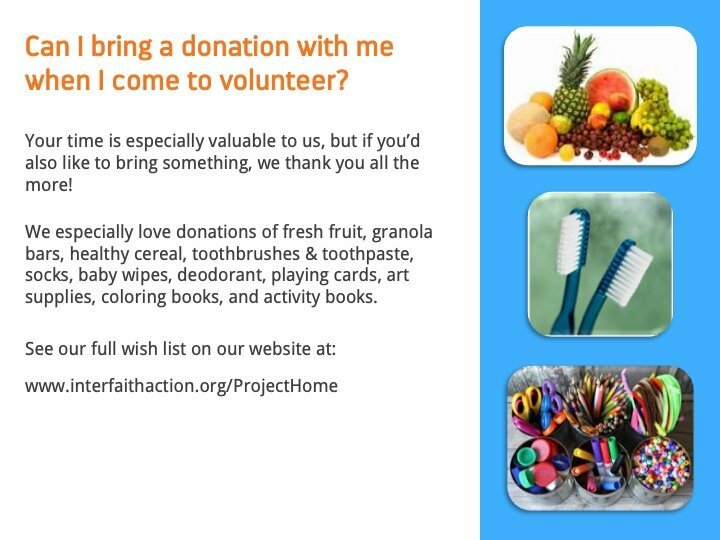 Donations of items help us meet the basic needs of families staying at Project Home. 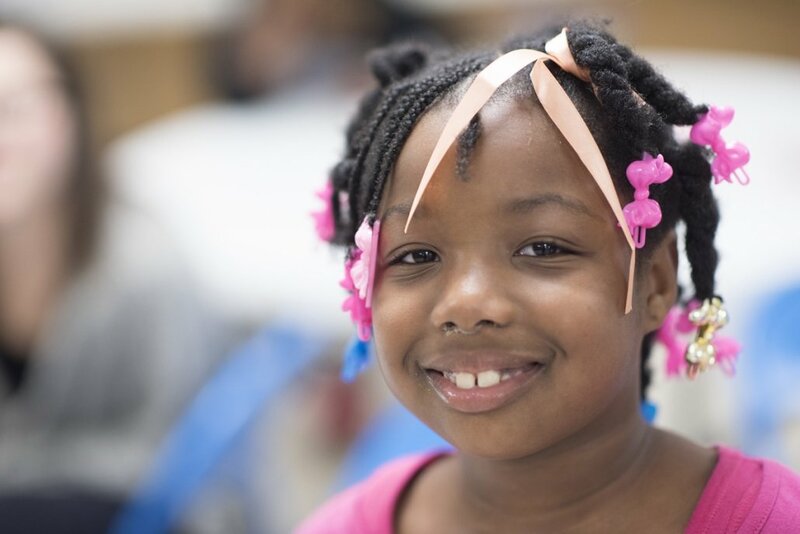 Items most in need: washcloths and towels, disposable razors, deodorant, feminine hygiene products, games & puzzles (new), coloring & activity books, art & craft supplies. 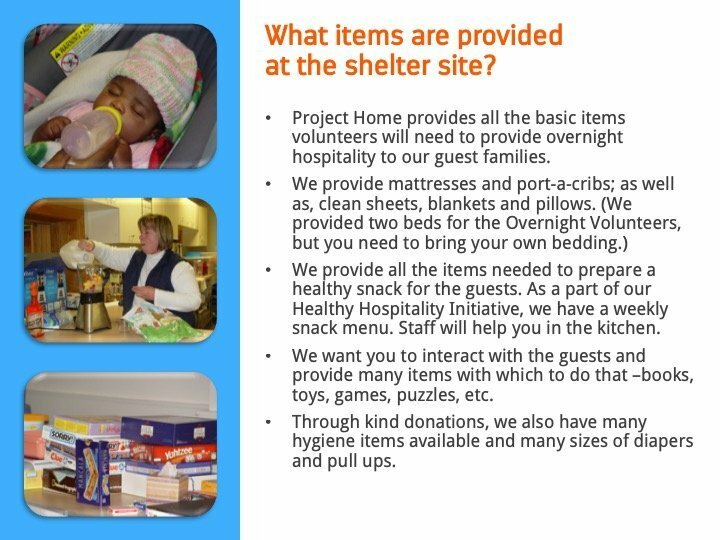 Monetary donations are welcome as well. 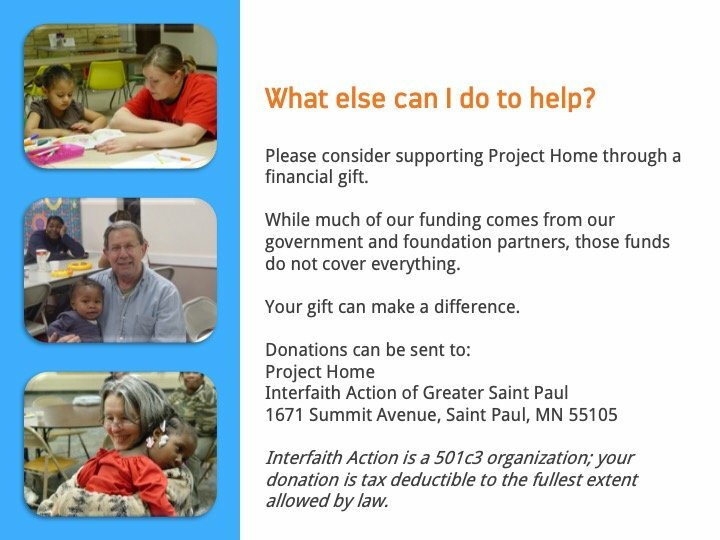 Make checks payable to Interfaith Action with “Project Home” in the memo line. 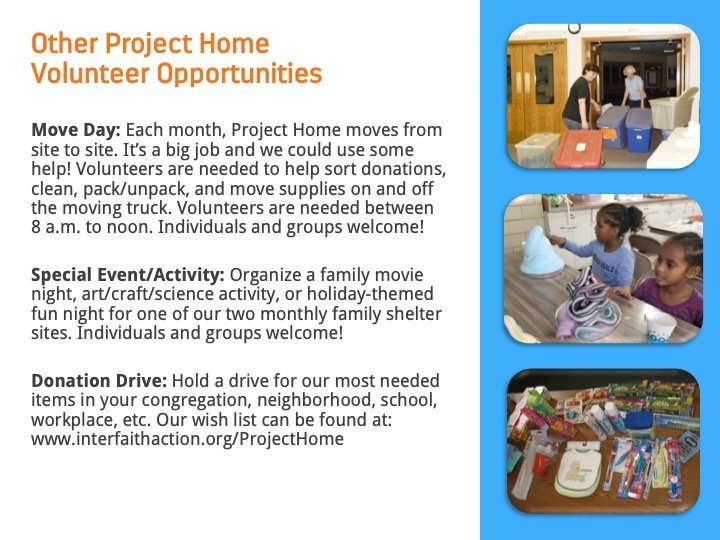 When making a donation online, please designate “Project Home” in the text field. 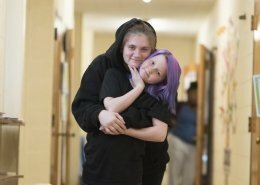 Donate here. 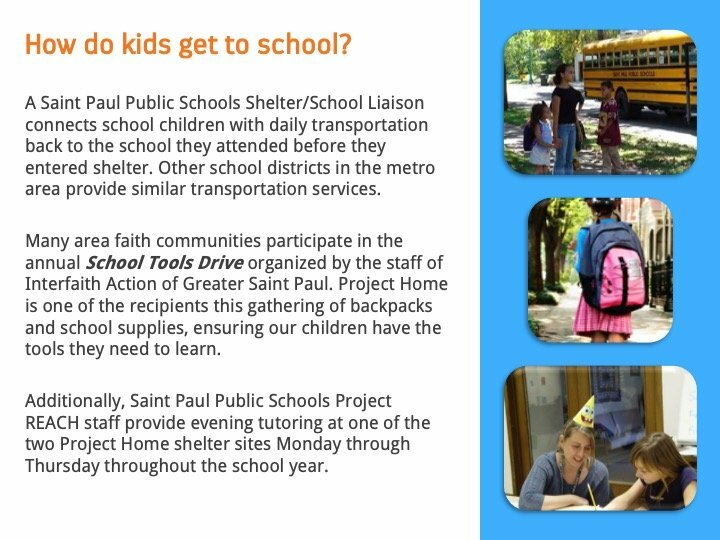 Right click on the logos to download. 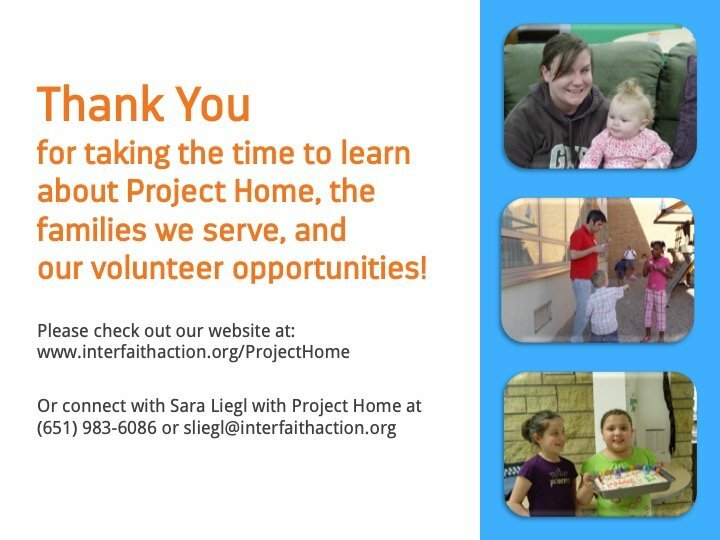 Please link Project Home logos to www.interfaithaction.org/projecthome. 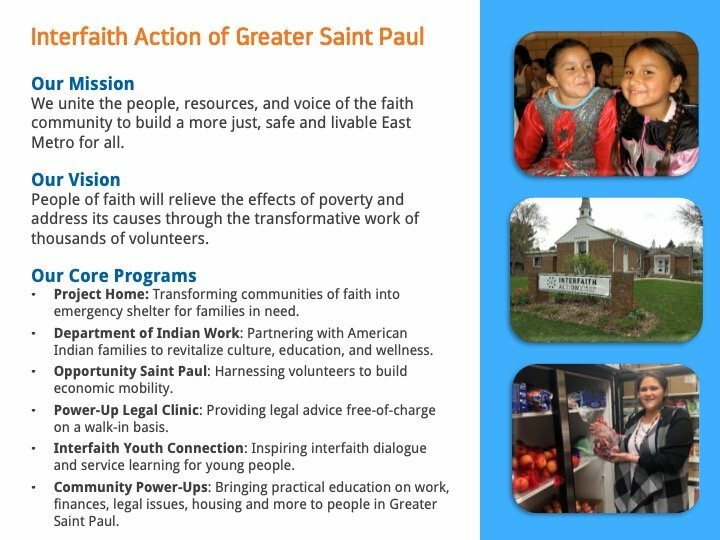 Please link Interfaith Action logos to interfaithaction.org. 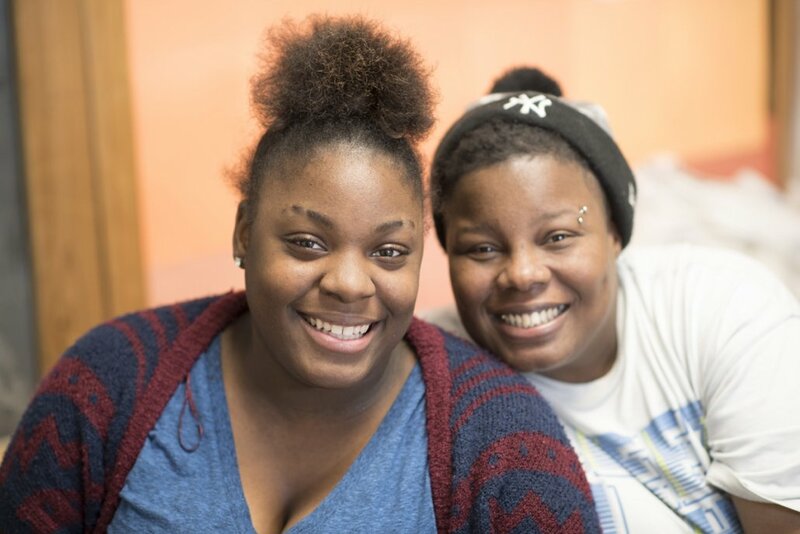 Click to follow us on Facebook, and we’ll follow you back. 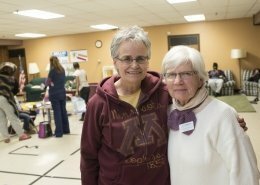 Please read the volunteer training information before you volunteer. 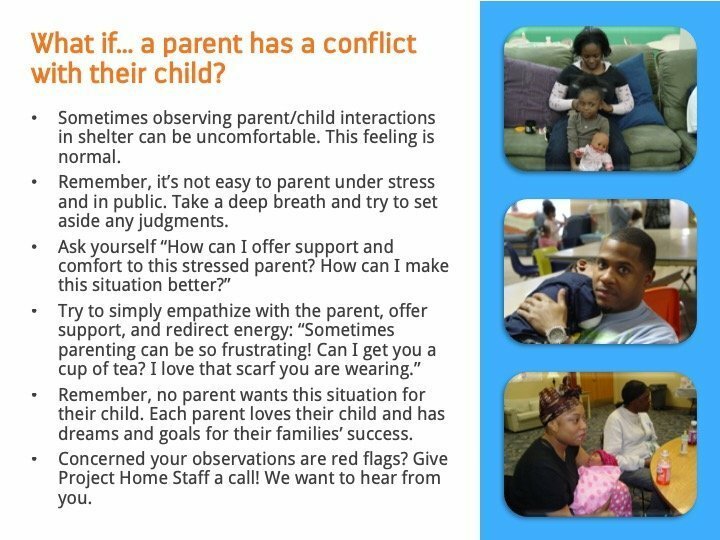 You can view in the slideshow or download and print below. 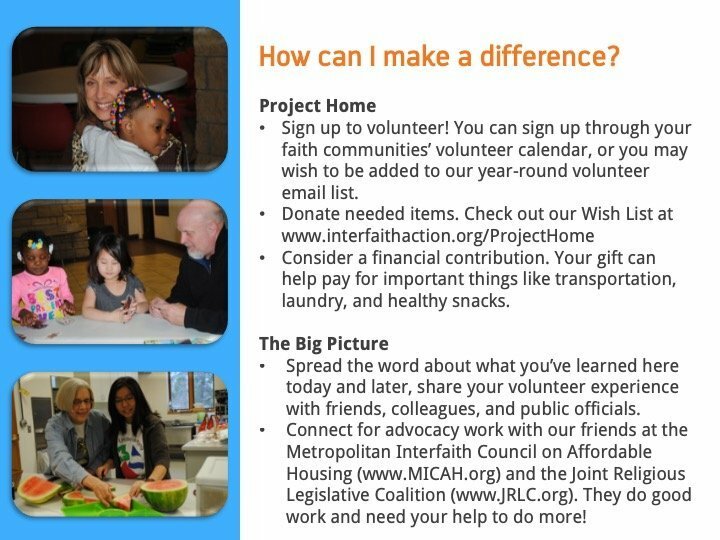 We welcome the opportunity to bring this information directly to your faith community. 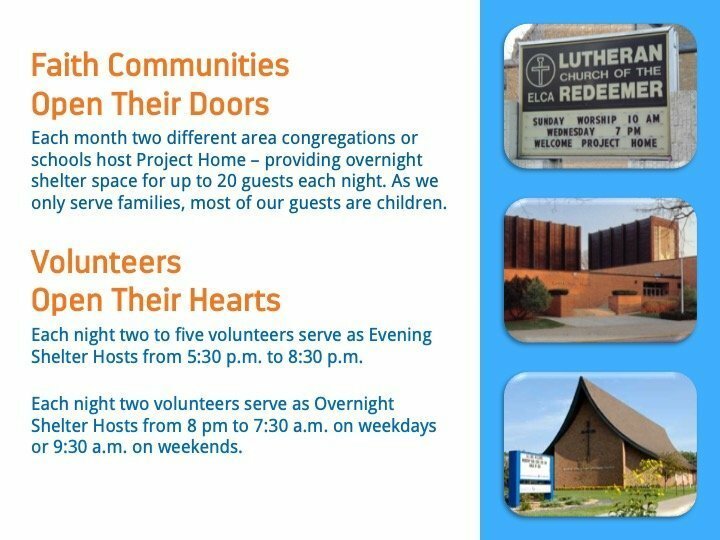 To schedule a training at your place of worship, contact Sara Liegl.